A little milk, if needed [I used 1 tsp] Preheat the oven to 180C/fan 160C/Gas 4. 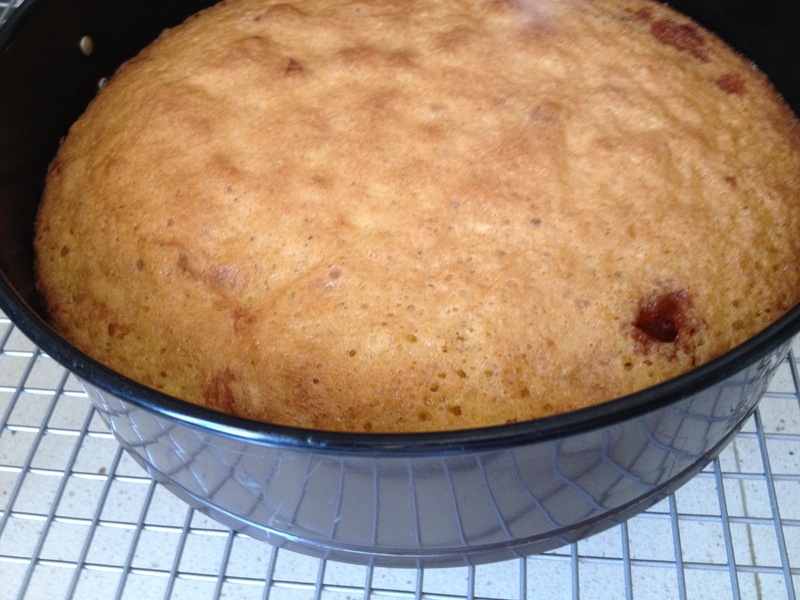 Butter a 20cm round cake tin and line the base with greaseproof paper. If your tin has a loose bottom, cut the circle of paper too large so that it seals the edges to prevent the golden syrup from escaping. Put the flour, baking powder and ginger into a small bowl, stir. Set aside. 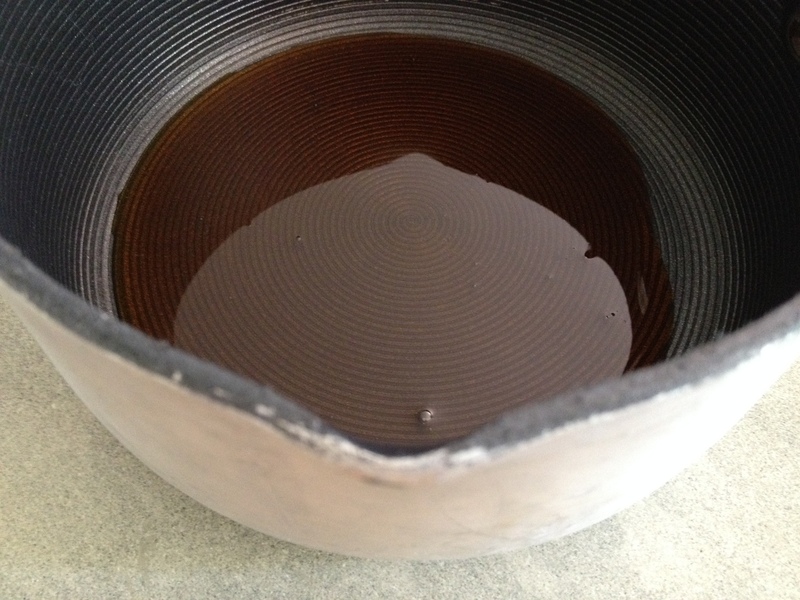 Put the golden syrup into a small pan and heat gently until it is runny. Pour into the cake tin. 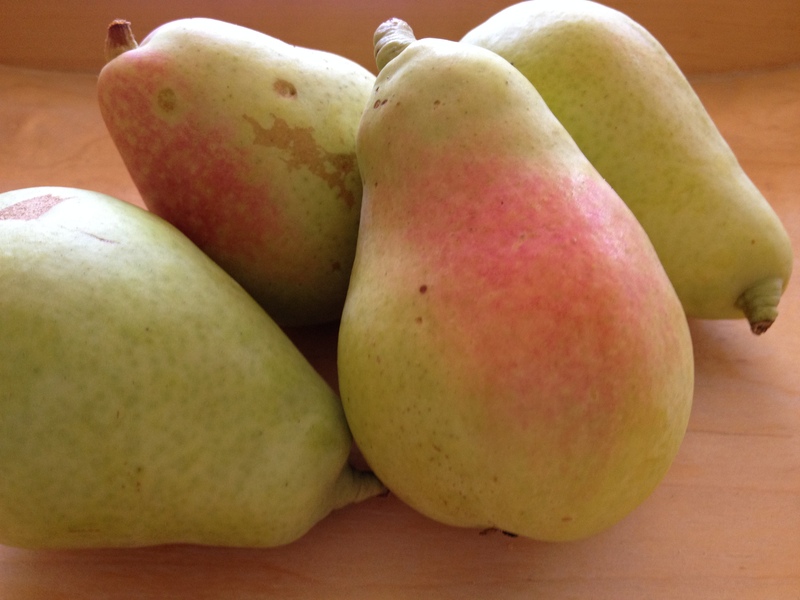 Prepare the pears, peel, core and cut each into eight. Arrange in the cake tin, on top of the syrup, with the thin ends in the middle and the thicker ends on the outside edge, like the spokes of a wheel. In a separate bowl, cream the butter and sugar. Add the eggs gradually, continuing to beat. Add the flour gradually to the butter mix, folding in gently. 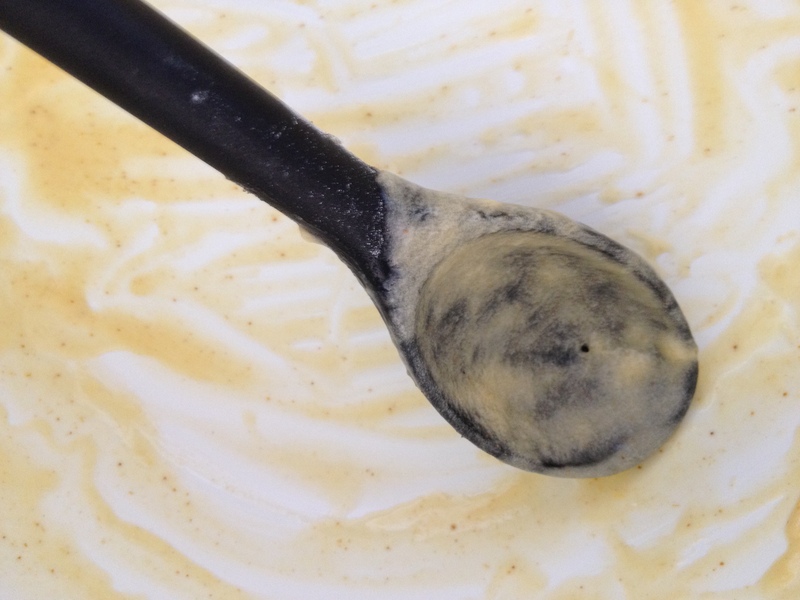 Once everything is well blended, the batter should drop off the end of the spoon in a big dollop. If the batter is too stiff, add a tiny bit of milk. 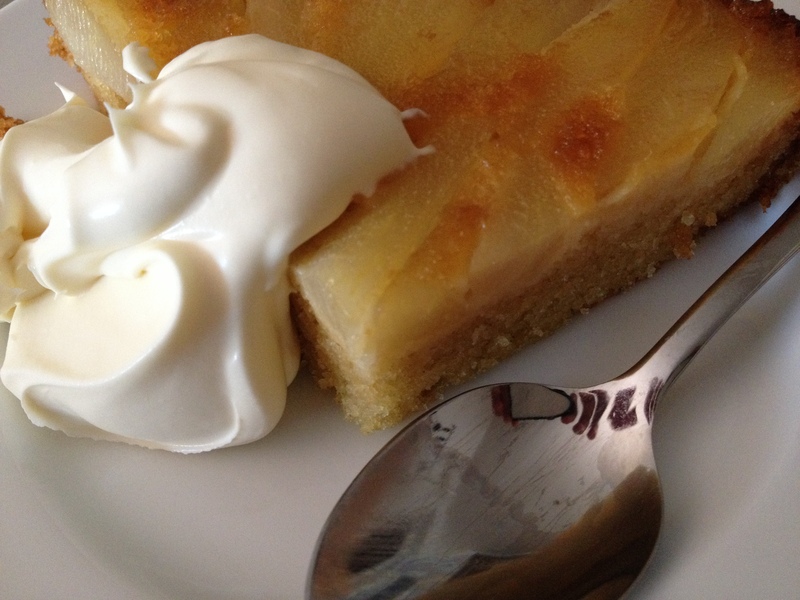 It is important to get the consistency right, or the sponge won’t coat the pears properly. 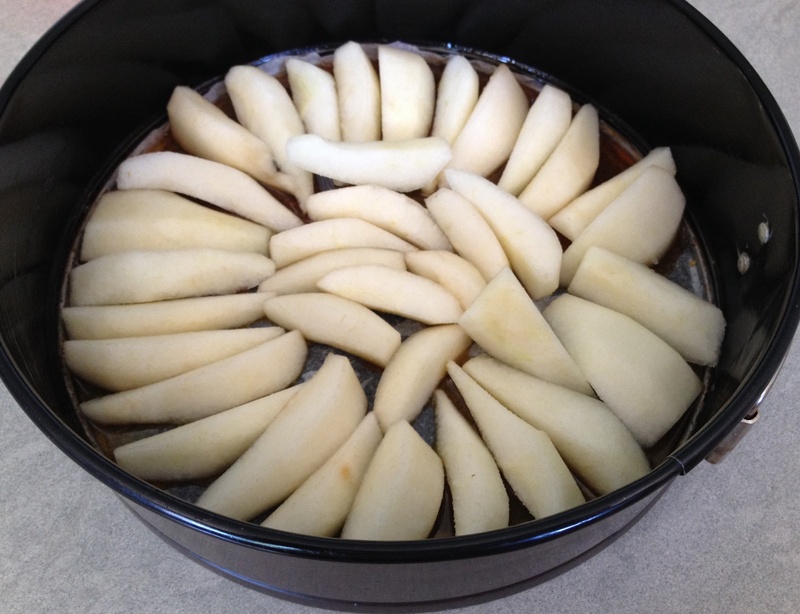 Pour the mixture over the pears, give the tin a tap to eliminate air bubbles. Bake in the oven for 40 minutes. Check after 30 minutes and if the cake is browning too quickly, cover the top with foil. 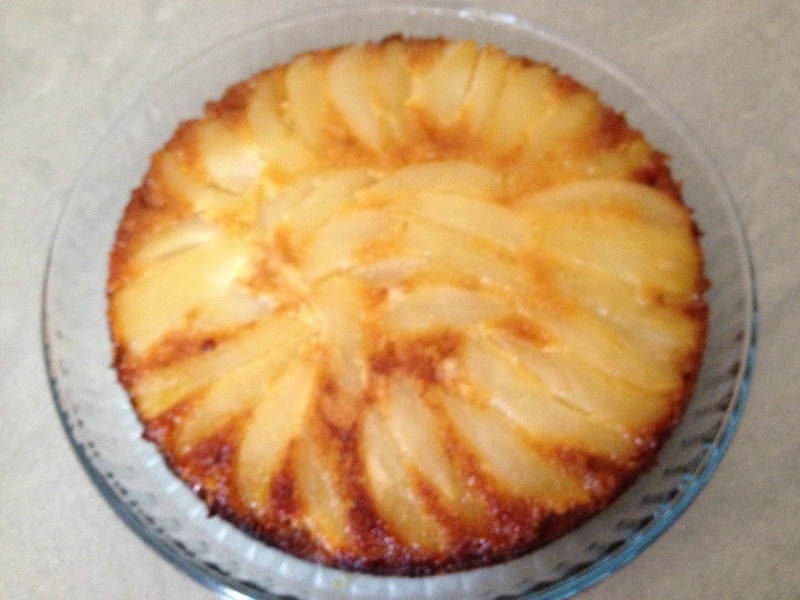 The cake is done when it is well-risen, golden, and springs back when touched. Leave the pudding in the tin to cool for a few minutes, before turning out onto a plate. Remove the paper. This entry was posted in A love of food and tagged Andalucia, food, living abroad, recipes, Sandra Danby, Spain, travel on September 7, 2014 by sandradan1. You can’t get ground ginger? Yum 🙂 The words ‘pear” and “ginger” caught my eye late last night, past my bed time but I was determined to return… I’m pleased I did, I love pear sweets-desserts-puddings & of course au naturel sliced with cheese, and after many years or destesting ginger my palate has finally grown up enough to appreciate it. How bereft I would be if I didn’t have access to ground ginger. 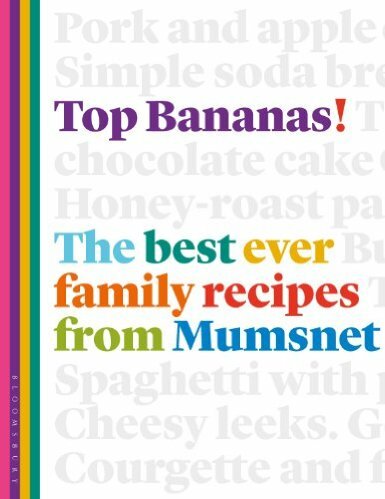 A big pinch of it goes into much of my cooking – savoury & sweet.